Why do Replacement Gearboxes Fail? January 29, 2018 - "Press Releases"
Have you ever replaced a failed gearbox, whether it just wore out after years of faithful service or it crashed and burned as the result of a major jam? Have you ever had said gearbox mysteriously fail again after only a day or a week or a month? Whether you are a user, a distributor who sold it to the user, or an OEM providing service to the user, the situation can be extremely frustrating. Unfortunately the reason for the failure probably wasn’t because of what you were thinking. We don’t get the calls often, but often enough to realize it happens more than it should. When customers call they, of course, advise us that the gearbox was clearly faulty and that a warranty replacement is in order. We sincerely empathize with their plight, but when we start to ask some qualifying questions we get an incredulous response, something to the tune that we are trying to get out of our “obligation”. 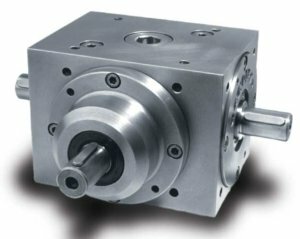 We feel, as I’m sure all gearboxes suppliers do, that our obligation is to get the customer up and running for the long haul, not just immediately placate what seems to be an obvious situation. In fact, it’s rarely obvious. Now, never is a long time. We won’t dig in our heels and say it’s impossible that there was something wrong with the gearbox. But it is a rare instance indeed that the gearbox turns out to be the culprit, especially these days when manufacturing processes and quality controls are so consistent. No, it’s usually something else. And after going through the investigative process most customers reluctantly agree. Having production go down is bad enough. Spending time procuring and installing a new gearbox only to have the machine go down again shortly after is a killer. So, with the intention of reducing the number of worse days following bad ones, lets go through the top 3 reasons why replacement gearboxes fail so quickly. This is perhaps the number one villain because there are so many gearboxes that are either connected by couplings or are shaft mounted. Because gearbox mounting surfaces are machined many installers believe there is enough consistency that they just have to bolt in the new gearbox and away they go. However, there is a reason a high percentage of machinery manufacturers laser align their drive components during the assembly process. Machined surfaces have tolerances and these have to be accounted for. That goes for parallel as well as perpendicular variances. Plus or minus 3 thou may seem pretty tight. But if the box that was in the machine is on the bottom end of the tolerance and the new box is on the high side, it’s very likely that difference will exceed the misalignment capacity of the connection, even if it’s a flexible coupling. Using rigid couplings, or when shaft mounting and hard flanging to the side of the machine frame, can compound the problem even further. In these instances there is virtually no leeway. Any misalignment what so ever will quickly wear gearbox bearings. In extreme cases, the shaft material will rapidly fatigue at the radius, resulting in broken shafts. The key when installing a replacement gearbox is to start the mounting process from scratch. Assume you are assembling the driveline for the first time and make the required measurements to assure the gearbox, coupling and driven shaft is aligned within the allowed tolerance. Taking the extra time to make sure everything is installed correctly will get you up and running for years to come. This is misalignment’s little brother. Results are the same but for different reasons. When using belts and pulleys or chains and sprockets, there is a certain amount of radial load applied in the process of torque transmission. This can be calculated relatively easily, although the angle of pull can complicate the math somewhat. However, belts and chain require a level of tensioning. This is where trouble can rear its ugly head. While there are procedures for properly applying tension, a little can go a long way. Especially with timing belts made with some of the new materials that resist stretching, just a little extra tension can cause big problems. That’s because excessive tension, particularly with a 180 degree wrap, can dramatically increase the amount of force exerted on the shaft. With those who think tighter is better, it’s not unusual for the radial load due to tension to exceed the radial load due to torque transmission. This is the combination that is a quick killer of gearboxes. When installing a new gearbox, follow the belt or chain manufacturers guidelines for proper tensioning. If it worked before it will likely work again. If your timing belt or chain is jumping teeth or your V belt is slipping, there is likely another problem that may have caused the original gearbox to fail. Don’t put a band aid on the problem by cranking up the tension. Many gear boxes fail because of a severe jam or shock load. Bearing race damage from extreme gear separation forces, broken gear teeth, cracked keys, or perhaps even mounting bolts pulling out are all possible results of massive shocks. To get back up and running, new gearboxes are either drawn from the stock room or rushed in overnight. Its tempting to just get it back into the machine and get going again. But it’s important to make sure the gearbox was not the only component damaged. A bent pulley can exert unusual forces that affect radial load. A twisted or unbalanced coupling can create unwanted frequencies that resonate into the bearings, or a deformed base plate or mounting flange can result in an unseen misalignment. It’s critical to inspect, or better yet replace the connecting components when there is a system jam or extreme shock. These are relatively inexpensive components. Purchasing insurance by replacing the drive or connecting components is well worth the expense. Everyone wants a machine up and running after a breakdown and for production to commence. The lost productivity from machinery downtime often out strips the cost of the damaged components by many multiples. So, before you call the manufacturer, check all possible suspects that may have caused the problem. Even if you get a free replacement gearbox, you certainly don’t want another failure because the installation details weren’t properly considered.